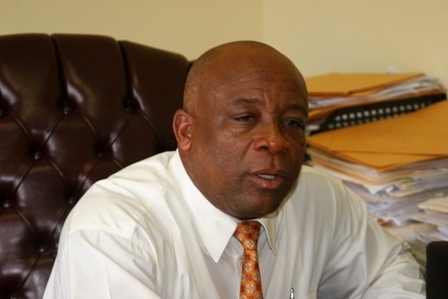 Minister of Health in the Nevis Island Administration (NIA) Hon. Hensley Daniel, traveled to Florida last week to hold discussions with health officials and service providers there. In an interview at his office on July 22, 2008, Minister Daniel gave an update of the trip. “At the end of last week I travelled to Florida to meet with a number of health service providers particularly re insurers and some who are involved in cost containment. The aim was to meet with all of these health service providers to collaborate with them, establish meaningful business relations with them, with a view toward providing for Nevis in the event of catastrophe care,” he said. He was happy to report that the meetings were successful and told of the assistance that would be administered. “The meetings were to find a way to contain the cost and as such we were able to develop some relations with some of the service providers which were able to get for us major reductions in medical bills for persons whom we have had to send overseas,” Minister Daniel said. He also highlighted that the reductions that would be administered were in some cases as high as 40 percent of the original cost. The Minister reiterated the Administration’s dedication to affordable healthcare for Nevisians. “We are in the process of ensuring that the people we send abroad actually must be abroad and that when they do so collectively either through the insurance companies or through an agent, we would be able to give the best price available,” Mr. Daniel said.